Time to review another release in the long running A'bunadh series from Aberlour. The Aberlour A'bunadh Batch #55 is currently on sale, although not in Norway as the ABV is above 60 % (Yeah, I know, stupid old rules). The A'bunadh series has been running since 1997. The releases are No Age Statement (NAS), and a sure proof that NAS can also be high quality whisky. The contents of an A'bunadh is said to typically be made up from casks containing whisy in the range of 5 to 25 YO. All the casks used are Oloroso sherry casks. 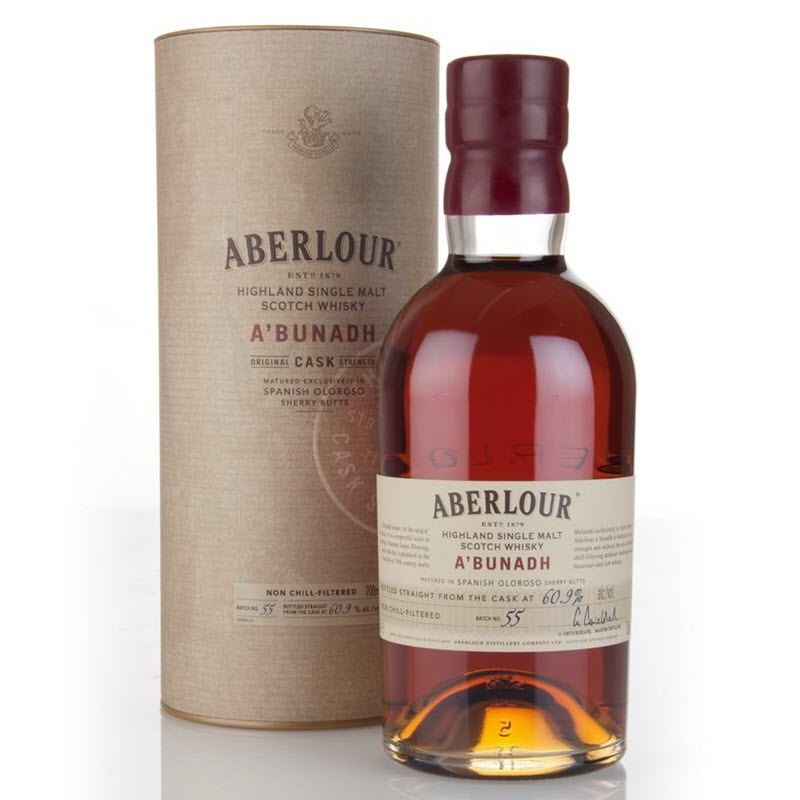 You can buy the Aberlour A'bunadh Batch #55 in Sweden at SEK 639 (44501), and online at around GBP 50. Nose: Dark chocolate, rum, dates, raisins, cocoa, old books and soft oaky notes. After a few minutes I start picking up berries and green notes as well; black currant, blueberry, chopped herbs and cut grass. There's a fair bit of what I would call 'dark sherry notes' here, but at the same time it feels light. So darkness and light meet here, and it works a charm. Taste: Smooth and silken mouthfeel. Spicy and green at first. The sweetness is strangely herbal. Light oakiness, honey, chocolate and red berries. Finish: Medium long finish. Chocolate, rich caramel, and still a lot of herbs. I also pick up a faint bitterness towards the end - almost medicinal in character (though this is no Islay style medicinal touch). Comments: A lovely dram, as (almost) always in the A'bunadh series, but it also has a somewhat strange green touch to it.